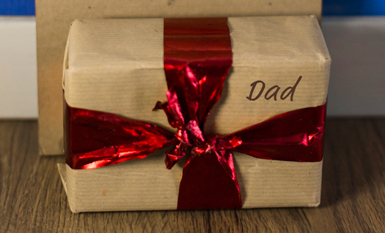 You found the perfect gift for Dad. However, you are not enthusiastic about packing it because that’s not your thing and you haven’t a clue about what it will cost to ship it or even the best place to do so. But you do know where your local Postal Connections store is. Make sure you bring that Father’s Day gift to Postal Connections. We ship anywhere in the world and will carefully pack your item so it arrives safely. And we have many shipping options to choose from to ensure it arrives by Father’s Day, June 17th. Dad will appreciate your thoughtfulness! Freight: Ship large, heavy and awkward items with crating services where available. iSold It eBay Consignment Sales Service: Some Postal Connection stores now offer eBay sales assistance services. Bring in your unused or unwanted items and we will assist with selling them on eBay. We take care of all listing tasks including correspondence with the buyer and shipping. Once the item is sold we send you a check! It’s the easy way to sell on eBay! Public Computer Access: Access the internet, ecommerce, or email via a public computer for a reasonable fee. Passport Photos: Updating your passport? Come see us for a professional passport photo. Notary Services: Come in to get those important document signatures officially notarized. Gift Shop: Need a gift? Many PCA stores stock gifts and greeting cards unique to the area for that special touch. Make sure you call your local store for availability but if you’re looking for something special, your Postal Connections store may have just what you’re looking for!